BRAINTREE, Mass. 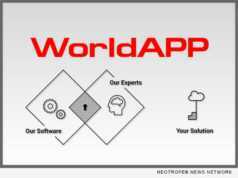 /Massachusetts Newswire/ -- WorldAPP, a leading provider of mobile data collection and process optimization software today announced that it has completed financing round with Providence-based Bay Capital Investment Partners. 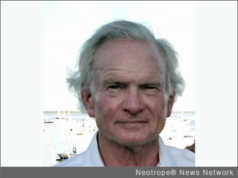 The transaction amount was not disclosed by the company. BOSTON, Mass. 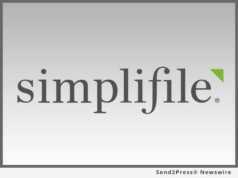 /Massachusetts Newswire/ -- Simplifile, a leading provider of real estate document collaboration and recording technologies for lenders, settlement agents, and counties, announced that it is now electronically recording Land Court documents in the Commonwealth of Massachusetts for the first time. BOSTON, Mass. 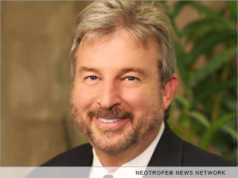 /Massachusetts Newswire/ -- Lender Price, the emerging leader in real-time, competitive mortgage analytics and product pricing & eligibility (PPE) solutions complete with full mobile functionality and advanced business intelligence, today announced that its original investor, Best Picture Oscar winning director and Emmy Award winning actor Kevin Costner, will appear at its 2016 MBA Annual Convention exhibit in Boston on October 23-26. BOSTON, Mass. 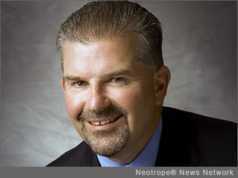 /Massachusetts Newswire/ -- EPIC Insurance Brokers and Consultants, a retail property, casualty insurance brokerage and employee benefits consultant, announced today that Senior Vice President of Enterprise Risk Management and Principal Daniel Houston will present at American Gas Association's (AGA) Risk Management Committee Meeting on Monday, July 25 at 2:45 p.m. at the Aloft Boston Seaport in Boston, Mass. BOSTON, Mass. /Massachusetts Newswire/ -- Cyber threats are one of the most significant risks businesses and individuals face today, says EPIC Insurance Brokers and Consultants. High profile breaches in the past few years have highlighted the substantial impact and significant costs associated with these attacks. 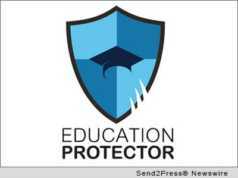 And the breaches we hear about are just the tip of the iceberg, since information about an attack may not be revealed to the public if no personal data is stolen. AGAWAM, Mass. 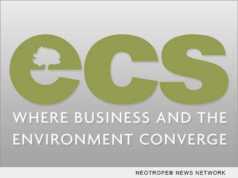 /Massachusetts Newswire/ -- Environmental Compliance Services, Inc. (ECS) today announced the completion of the acquisition of the corporate assets and remarkable human talent of Pangean-CMD Associates, Inc. (PCMD) of Woodstock, Ga. This acquisition, the largest in ECS' 32-year history, will drive ECS' evolution by expanding the market areas the company serves. BOSTON, Mass. 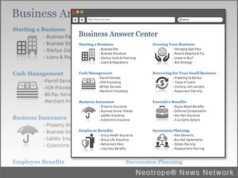 /Massachusetts Newswire/ -- Truebridge, Inc., a Boston-based financial marketing company, today announced East Cambridge Savings Bank's launch of their online Financial Answer Center. Their implementation of the Truebridge Content Marketing System is one of many examples of financial institutions turning to targeted content to increase revenue. BOSTON, Mass. 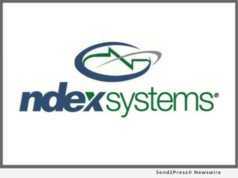 /Massachusetts Newswire/ -- Edgewood Partners Insurance Center (EPIC) a retail property, casualty insurance brokerage and employee benefits consultant, today announced it has acquired certain assets of program specialist Altus Specialty Group (ASG), namely the program book of business. The acquisition of this business comes on the heels of EPIC's November 2013 announcement of plans to pursue national expansion, backed by capital from The Carlyle Group and Stone Point Capital. BOSTON, Mass. 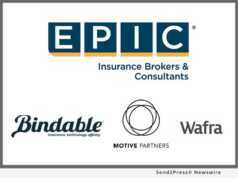 /Massachusetts Newswire/ -- EPIC Insurance, a retail property and casualty insurance brokerage and employee benefits consultant, announced today it has acquired SafeHarbor Risk Management. Founded in 2009 by insurance industry veteran, Thomas E. O'Neil, privately-held SafeHarbor is a Property & Casualty Insurance Brokerage and Employee Benefit Consulting firm. The firm has locations in New York and Boston, Mass. BOSTON, Mass. /Massachusetts Newswire/ -- Truebridge Inc. announced today the launch of the 'Business Answer Center,' a new marketing system that provides the bank and credit union clients of Truebridge with an innovative way to deliver financial education to their business customers and generate sales at the financial institutions.